Remember that teen who celebrated her birthday alone? Something amazing just happened. A few weeks ago, we shared the story of Hallee Sorenson’s 18th birthday party and the heartbreaking photo shared by her cousin Rebecca Lyn on social media.The photo showed Hallee eating her birthday cake alone after no friends or classmates attended her party. To ensure Hallee’s next birthday wasn’t a bust, Rebecca asked people to send cards to Hallee in celebration of her 19th birthday this July, and the post went viral. 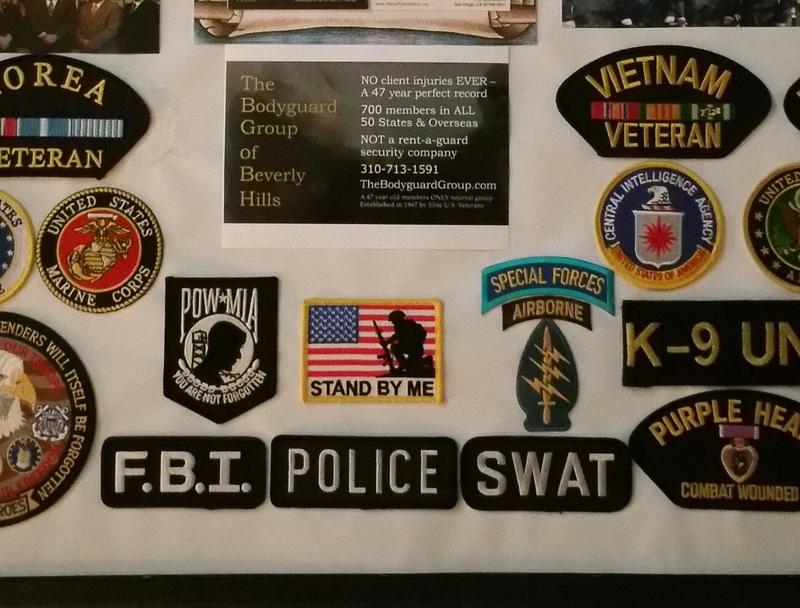 After reading the story on HelloGiggles, officers at The BodyGuard Group of Beverly Hills, a company that provides free job placement for U.S. veterans and off-duty police since 1967, had a huge reaction. 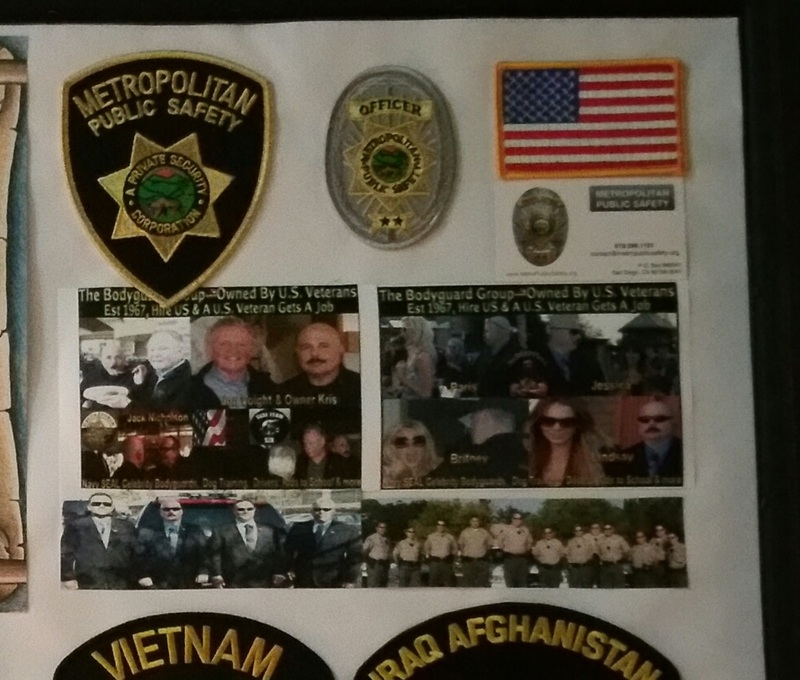 “I saw some of them CRY for the first time ever” said Kris Herzog, a U.S. veteran and the owner of The BodyGuard Group. As we spoke, it made total sense why a group of vets would react so strongly seeing a young person have an unhappy birthday. 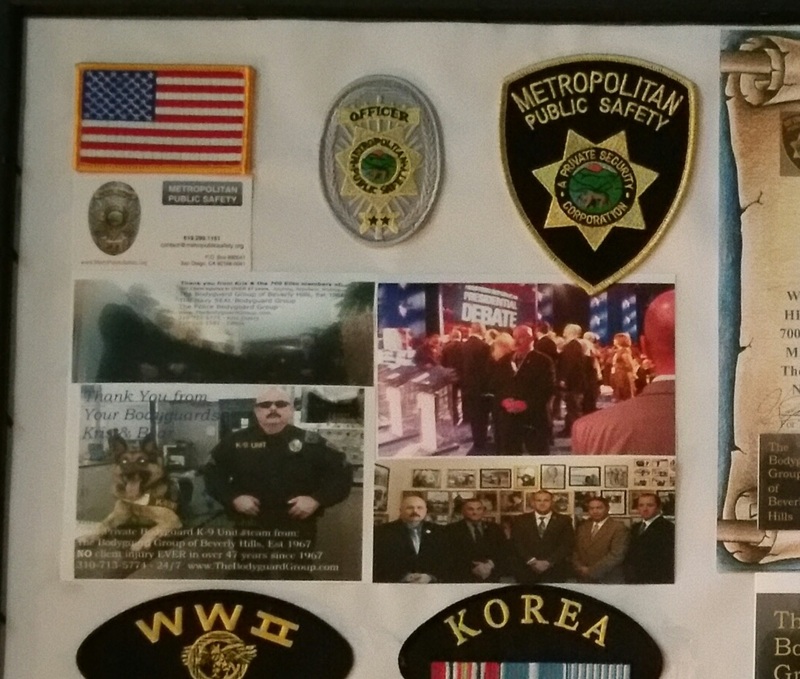 Most of these men and women not only have experience in law enforcement but also served our country overseas as well. And as a parent in combat, they definitely did not have the luxury of flying home for birthdays. 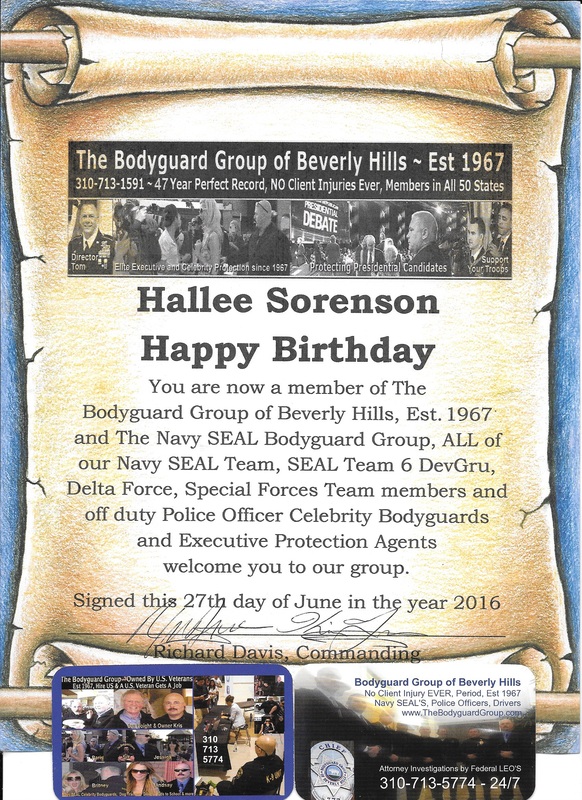 The men and women of The BodyGuard Group now work as private guards for politicians, foreign royalty, and celebrities, protecting their clients but also their clients families, including children. 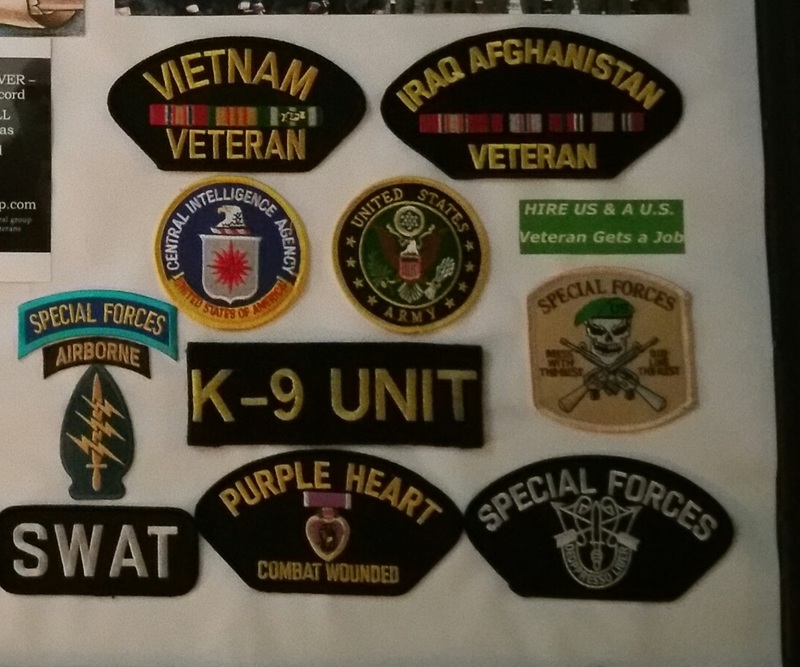 The organization consists of active, reserve and retired U.S. Veterans of SEAL TEAM 6/DevGru, DELTA, Special Forces, Federal Law Enforcement, Police SWAT, and more. 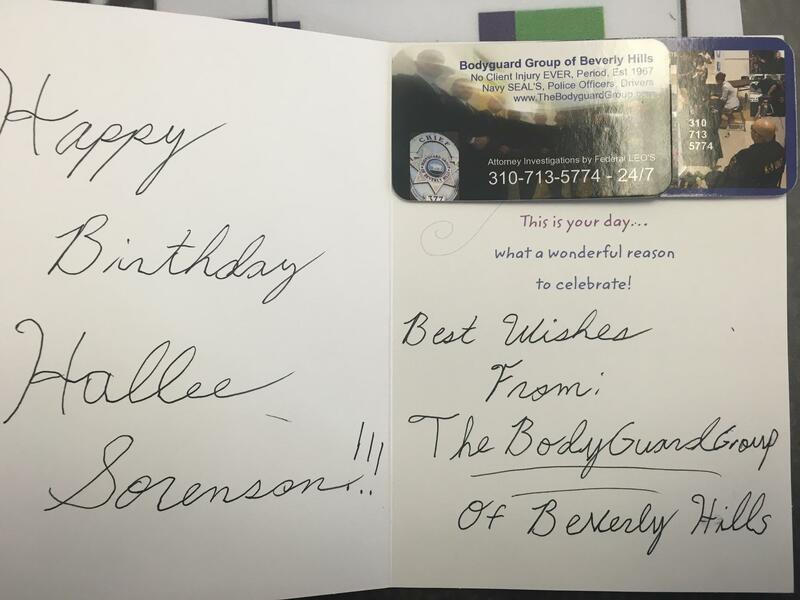 We hope Hallee’s Birthday is extra special knowing these selfless officers are looking out for her!